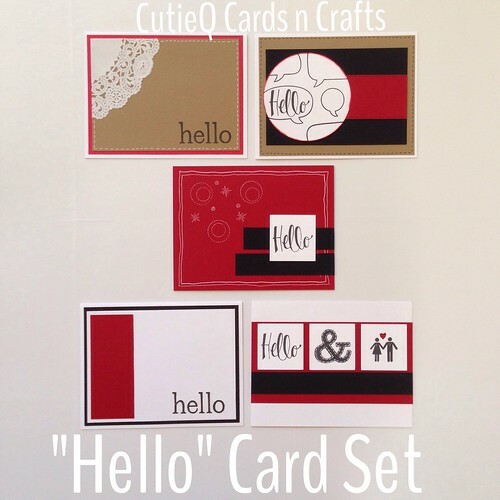 CutieQ Cards n Crafts – “Hello” Card Set | Living life in the carpool lane..
Last week, I introduced you to my very first card set for sale. You can see the card set by clicking here. My goal is to reveal one new card set a week. I’m hoping to start adding them into my Etsy store, but I’m waiting until I get about 5 card sets before I do so. This week, I’d like to show you the “Hello” Card Set. Haven’t you ever found yourself in need of a card and no time to go to the store? If you purchase my card sets, you will always have a card on hand for those “just in case” moments! This cards are perfect because they are no specified for just one type of occasion. 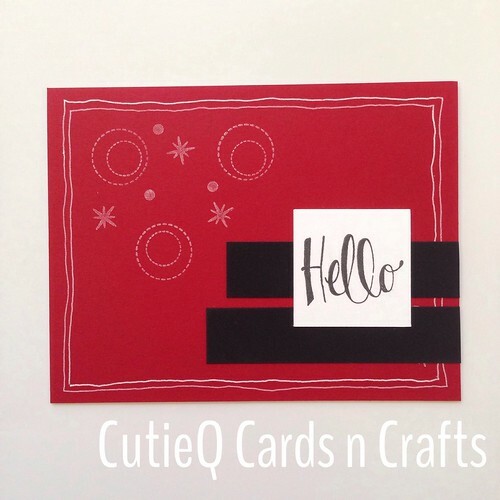 With a stamped “hello” sentiment, you can use these cards for a birthday, a thank you, or just a ‘thinking of you’ moment! I had a lot of fun making these cards because they were using one of my favorite color combinations. Red, black and white. I always find myself super inspired when I make cards in these colors. Each card set revealed costs only $20 plus $5 shipping. Please allow 1-2 weeks AFTER receipt of payment before I ship them out since I have to make them to order. Like all things handmade, the finished product may not be exactly the same as what is shown in the picture, but it’s definitely made with the same love and care as the ones in the photo. That’s the beauty of handmade, right? Please follow me on Instagram, @shopcutieq, for more shop related posts. 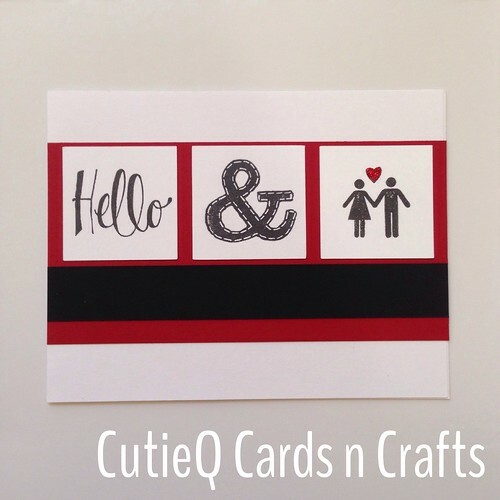 Follow me @cutieqcards for a glimpse of my crafty life, from cardmaking to sewing and planners!